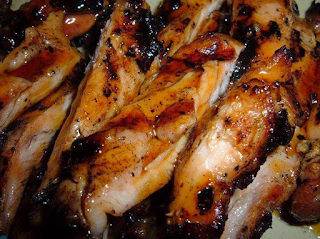 So to make this recipe there should be enough marinade that you can stir the chicken freely. If it’s hard to stir, you need to add more sauce. Second step : Now is to combine the water & soy sauce & next dissolve the sugar in the liquid. Then add the desired amounts of ginger & garlic. Then add the chicken. Soak the chicken in the marinade for at least 24 hours. You can also boil the chicken in the sauce right after you make it if you want to eat it sooner than later. After you have marinated the chicken, you are ready to grill. Just cook the chicken on the grill like you would any other meat.